What is BambooHR Time Tracking? BambooHR Time Tracking adds hourly time management and reporting to the award-winning BambooHR experience, helping you reduce payroll errors and compliance risks with self-service time entry, approvals, automated reminders, automatic overtime calculations, and accurate payroll reporting. 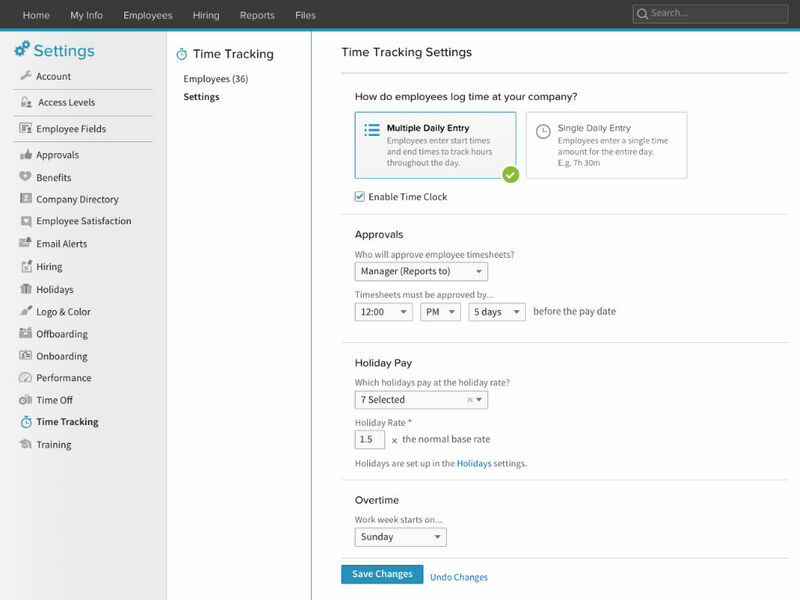 Time Tracking sets HR and payroll admins free from time and attendance to be more strategic. Clock in & out with ease. Our time tracking software makes the time entry experience a breeze for employees and managers alike. 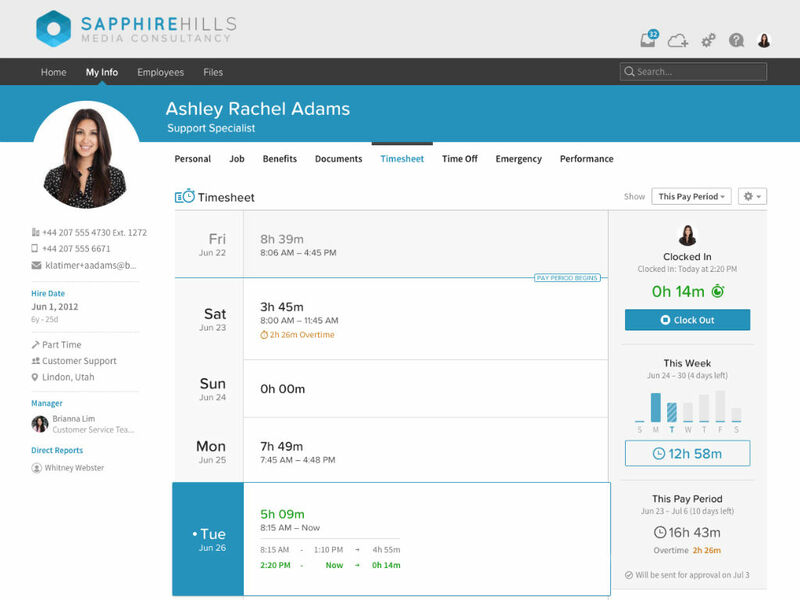 Employees can clock in and out or enter hours right from the Home screen in BambooHR, and timesheets are always easily available for approvals or edits. No hoops to jump through means fewer forgotten entries and zero lost data. 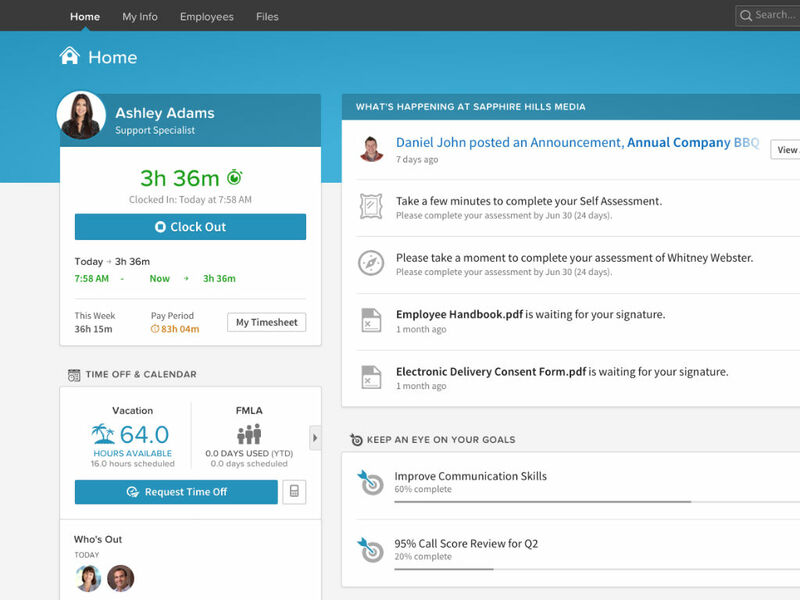 Approving timesheets just got a whole lot easier. 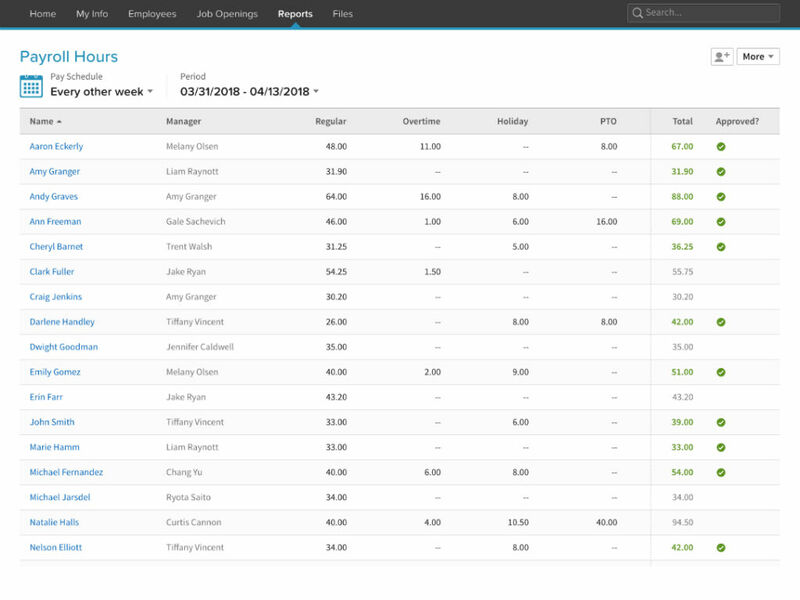 Managers don’t have to send countless emails or wait for employees to hand in their timecards—the approval workflow handles all of it, with timesheets attached for easy review and one-click approval. We all lose track of time, even when we’re doing the work we need to be tracking. That’s why Time Tracking comes with built-in automatic reminders, so you can be confident employees and managers are getting reminded to update and approve hours on time, every time. Overtime laws vary state-by-state, turning payroll into a calculation and compliance headache. Time Tracking does the calculation for you, with built-in overtime regulations for all 50 U.S. states to keep your numbers spotless. Our Time Tracking module is fully integrated and built on top of the award-winning BambooHR platform from the ground up. Track hours the Bamboo way.